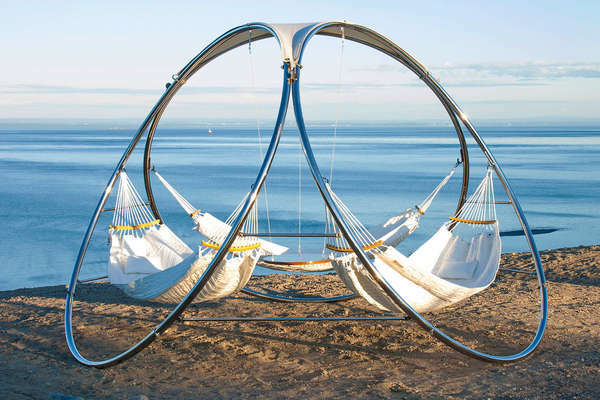 This hammock design incorporates three hammocks in one, letting three times as many people lounge at once. 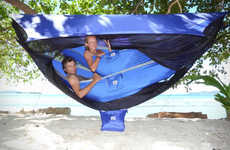 Gilbert Tourville, the founder and designer of Trinity Hammocks, was inspired to create the 'Eternity' and 'Infinity' models for an experience that builds community. 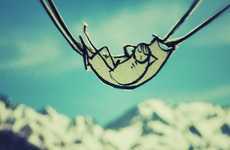 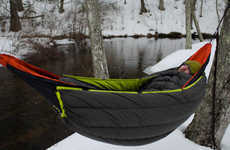 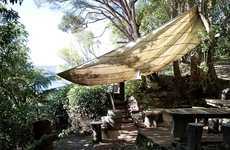 The hammocks are positioned beside one another, but with enough space to stretch out in between. 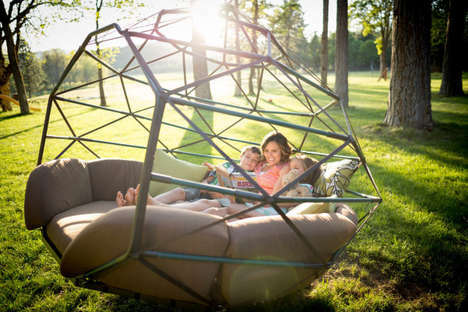 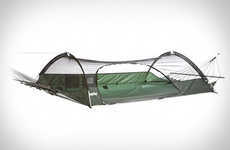 If you burn easily, you'll appreciate that Trinity Hammocks has a model with a hexagonal roof covering, like what you would expect from a gazebo. 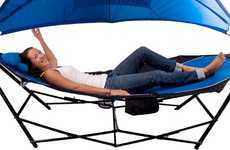 The unit takes up quite a bit of space, but it stands on its own and you don't have to worry about tethering the hammocks to anything -- all you have to worry about is picking the most ideal spot for relaxation.